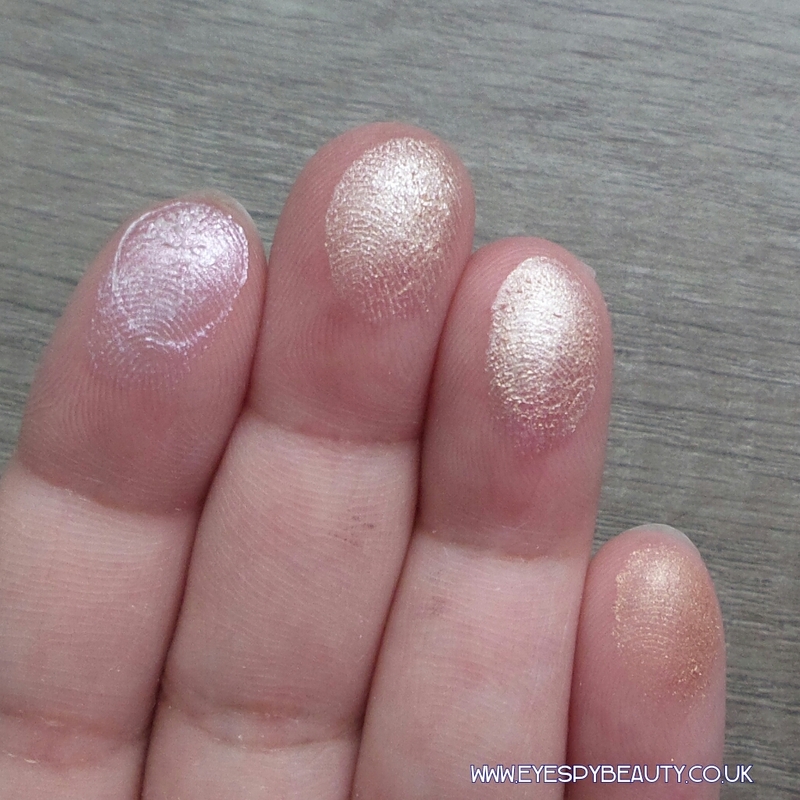 Ever looked for a cream highlighter from the high street drugstores? Your search would have come to a dead end… until now. 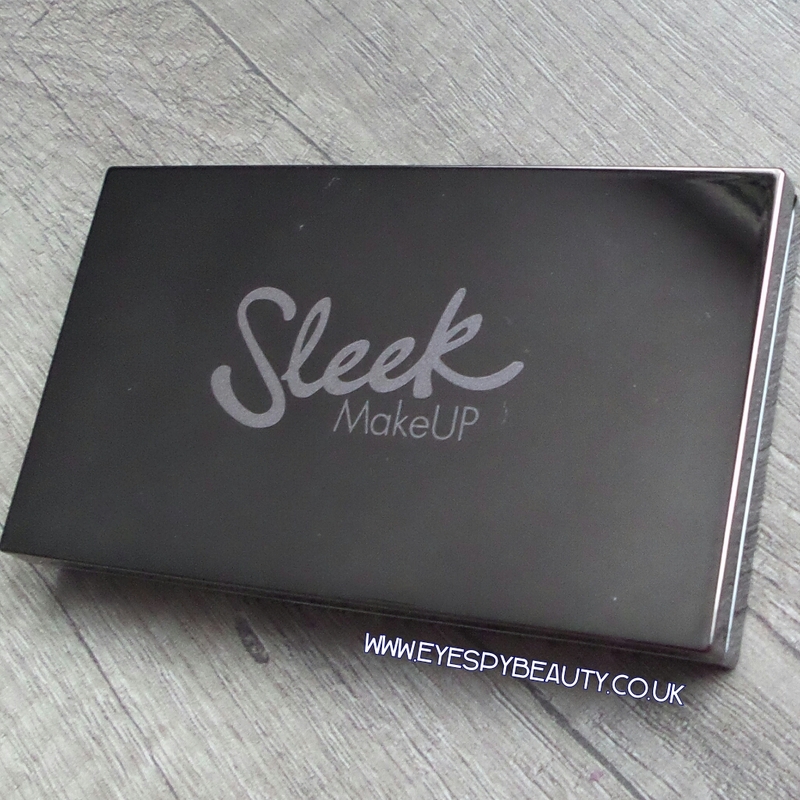 This is the long awaited cream highlight palette from Sleek MakeUP. 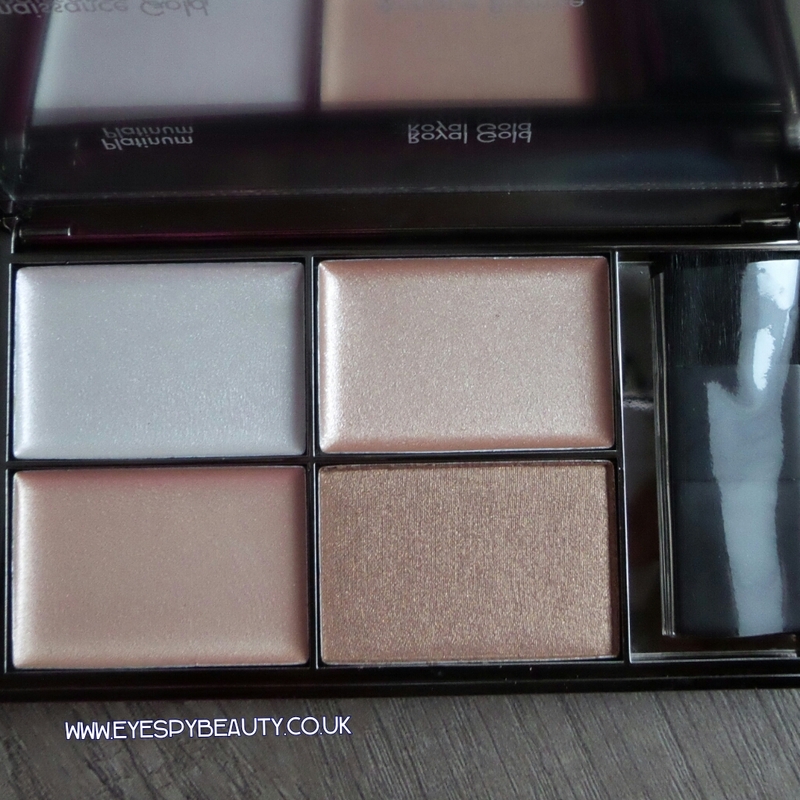 4 shades in one mini palette. 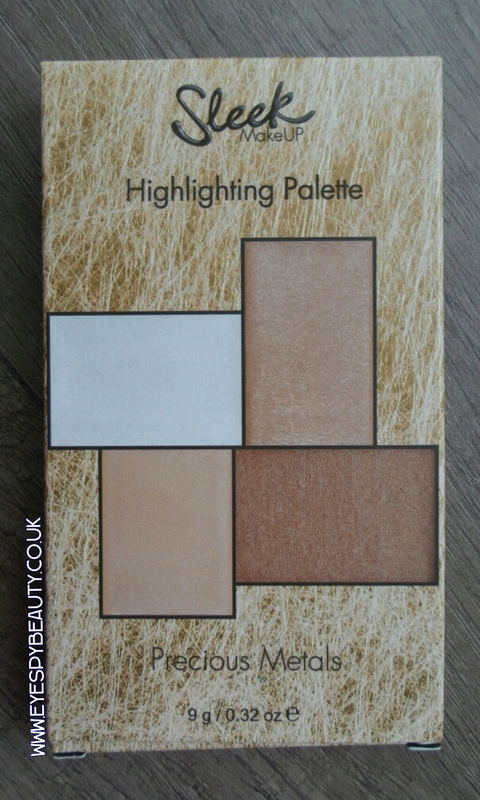 This is the first drugstore brand in the UK to bring out a highlight palette. Kudos. And it’s only £9.99 for 4 shades. The technique guidance from Sleek isn’t really my cup of tea. I wouldn’t use all 4 highlight shades on one face. I like these all as individual highlight shades for different skintones. The palette contains 3 cream highlighters and one powder: Platinum (iridescent white/ pink), Royal Gold, Renaissance Gold, and Antique Bronze. The first three are cream formula, while Antique Bronze is powder formula. The shades look very different on the skin than they do in the palette. This is surprising for Sleek as they usually have very good pigment and are true-to-colour. 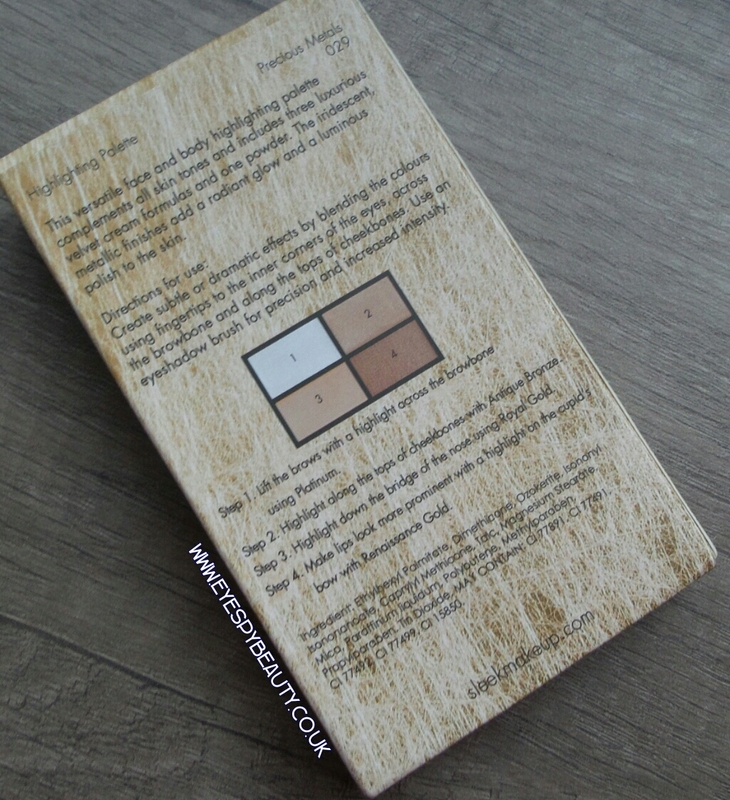 The shades themselves are lovely on the skin and between the 4 shades, they cover most skintones. To be honest, I’ve not used the powder shade yet, other than for these swatches. The cream highlighter shades however I have used a few times. The shimmery bronze shade is just about golden enough to use on darker skintones. The platinum is great on very fair skin, while the other 2 shades look beautiful on tan or medium skintones. The texture is very creamy and so these are best suited for non-oily skin types. They can be used on oily skin types but would work best if set with translucent powder or a shade-matched highlight powder. The shades are very shimmery and so are really best suited for cheekbone highlight. 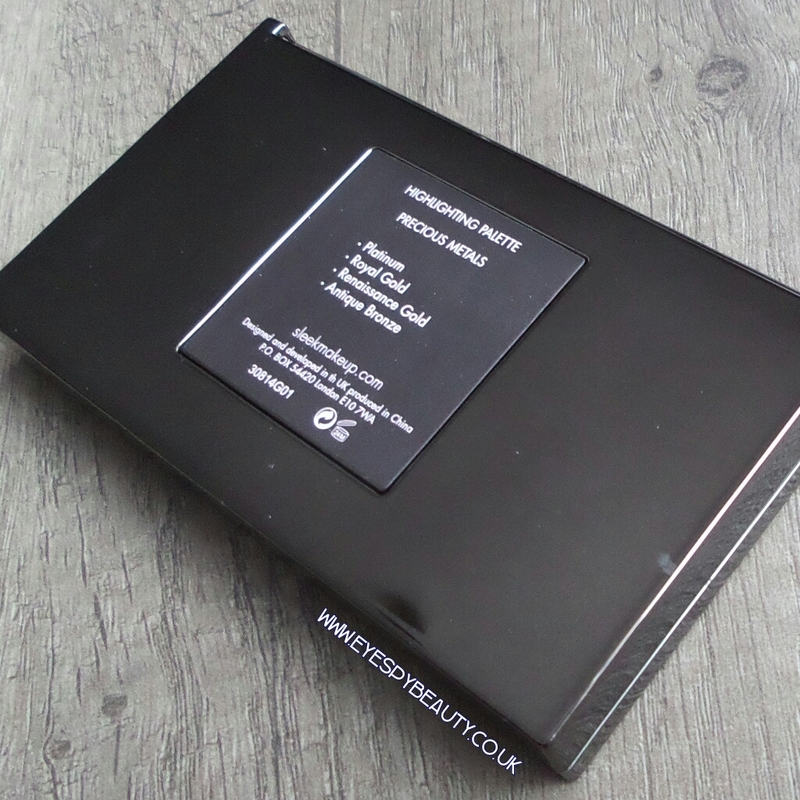 It’s very much an evening product or for photoshoots rather than an everyday highlighter. As a make-up artist, I get a lot of use out of this. It’s easier to slip into my kit than my Kryolan cream highlighters, even though it’s not as long-lasting. For brides, my Kryolan cream highlighters layered with my AOM highlight powders reign supreme. That said, this is great on photoshoots where you have more control and the ability to touch-up. It’s fast becoming a kit staple for me. The question is, will it work for consumers? I’m not so sure but I’d love to be proved wrong. 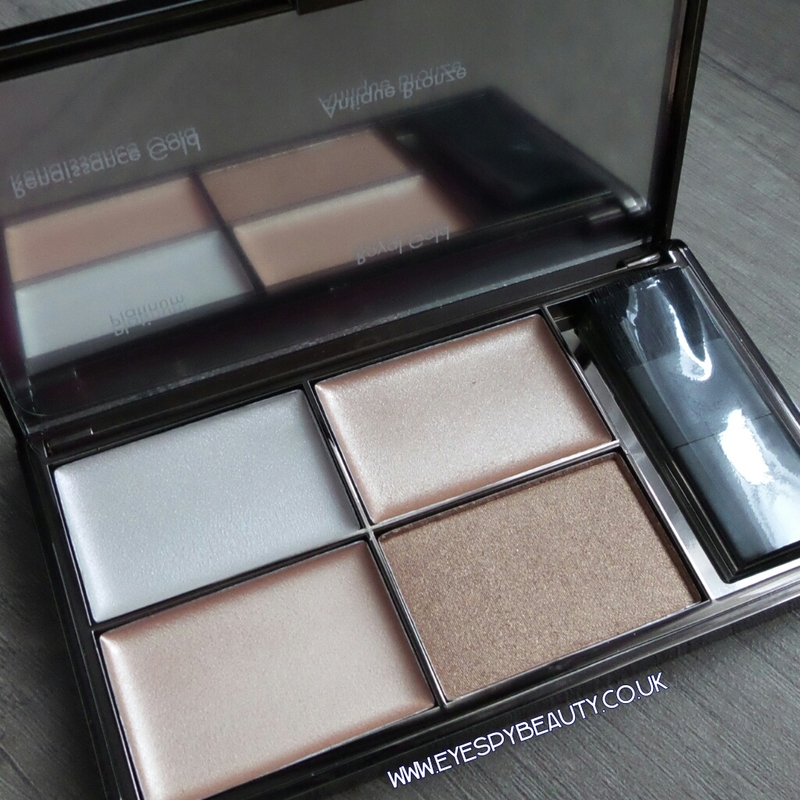 Leave a reply on "Express review: Sleek MakeUP Precious Metals Highlighting Palette"